Toyah has played the role of Peter Pan in theatre and radio adaptations of J M Barrie’s classic tale of the boy who never grow up. First came a 1994 theatre production which premiered at Chichester Festival Theatre and toured for the spring and summer of 1995. 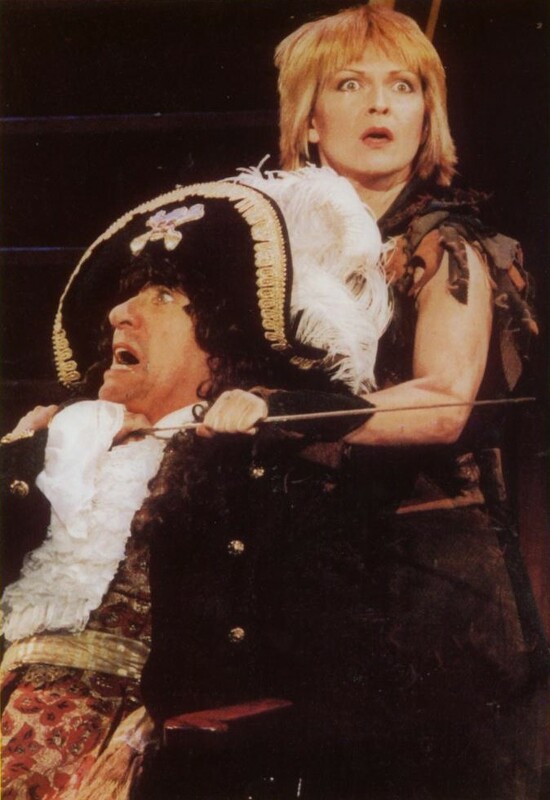 This was followed by a sparkling full cast audio dramatisation for BBC Radio 4 in late 1995 co-starring Ron Moody as Captain Hook, Roy Hudd as Smee and June Whitfield as Mrs Darling in this spectacular BBC Radio 4 dramatisation, recorded in Dolby Surround Sound with stunning sound effects and specially composed music.